When is the cafe open? 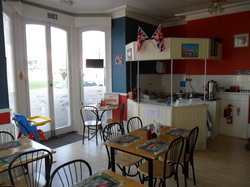 The cafe is open seven days a week from 8.00am till late. 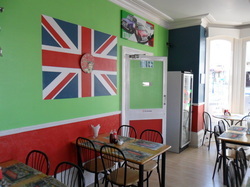 All our food is freshly prepared, home cooked and delicious. You can have as much or as little as you want – including All Day Breakfast, Vegetarian options, special diets, snacks, cakes or just tea and coffee and a full range of soft drinks. We have a menu which includes something for everyone. Whether you are looking for a light bite, a delicious traditional hot meal or a 'naughty but nice' treat from our home-made cake and dessert list, we have a wide and varied range to choose from. We also have a daily specials board where you will find further delicious hot and cold home-made dishes fresh from the kitchen.